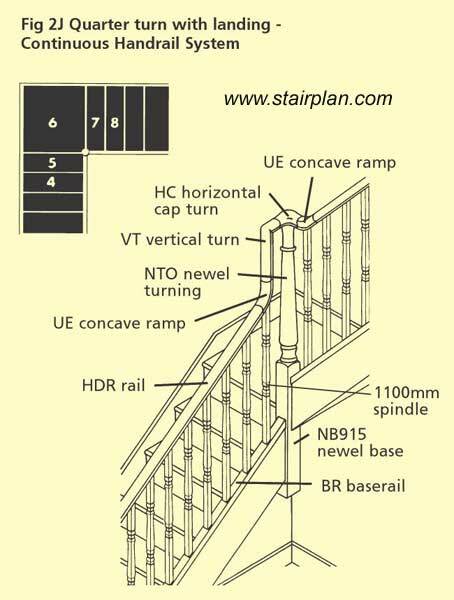 Use these drawings to work out the stairparts you want to order for your Stair Renovation Project. 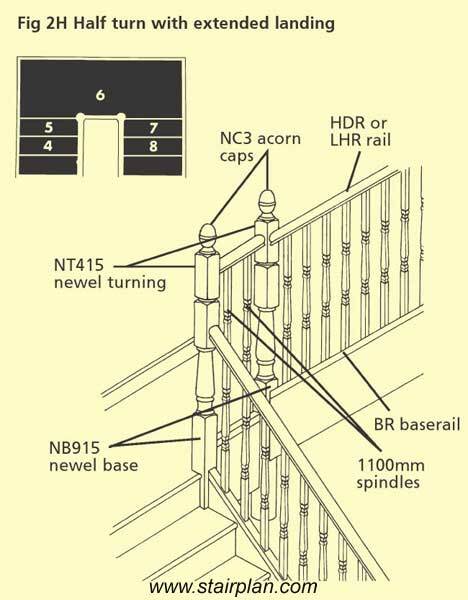 Above you can see a handrail detail often used on Half landing staircases where there is a space between the two landing newel posts, here you can see the handrail has been raised to 1100mm on the landing section. 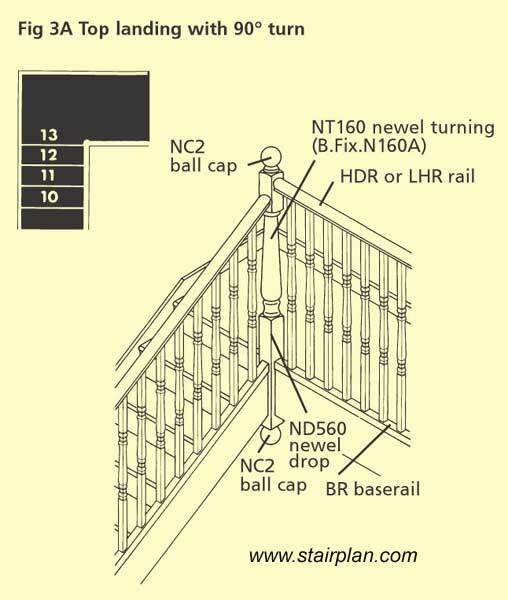 Here you can see a continuous handrail detail where the handrail goes over the newel post. there is a UE up easing and VT vertical turn forming a Goose neck handrail detail coming into a HC horizontal cap that sits on top of the NT0 newel turning that is used with the continuous handrail system. Handrail to Handrail connections are jointed using handrail bolts. 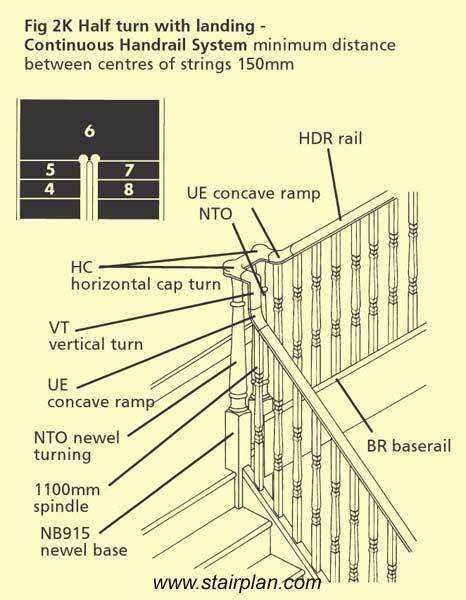 Here you have a Half landing staircase using the continuous handrail system. Continuous handrail is far more labour intensive than conventional post to post handrail installations.